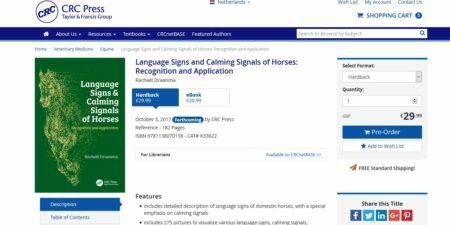 Do you want to know more about my study on language signs, calming signals, communication ladders and read background information and various tips. My book is available. You can order by opening this message and tap at CRC Press. Or order it at various bookstores and webstores in your own country.